The Interstate Aviation Committee delegation headed by the IAC Chairperson T. Anodina started its work at 39th ICAO Assembly which will last from September 27 to October 7. The ICAO Assembly is the most representative body of the Organisation and convened by the Council at least every three years in order to discuss and take decisions on the most important objectives to be faced by the global civil aviation. The issues related to flight safety, policy change in aviation security, continuous monitoring mechanism results within the framework of Universal Audit Programme, environmental protection, civil aviation specialists training, enhanced collaboration and others will be discussed during 39th Assembly. The Assembly will consider the Council reports for 2013-2015 period and hold elections of the Council members. It will be invited to expand the Council from 36 to 40 states. The Assembly work will consist of plenary meetings and Coordinating Committee meetings, Administrative, Technical, Economic and Legal commissions. The Interstate Aviation Committee will present 7 working papers with initiatives in the field of flight safety and accident investigation, aviation specialists training, aviation medicine, airports certification, satellite air navigation. Further business meetings with the ICAO management, international organisations managers and heads of the ICAO member-states delegations are planned during visit of the IAC Chairperson to the ICAO headquarters in Montreal. The Interstate Aviation Committee delegation continues its work at the 39th ICAO Assembly. Official meetings of the ICAO Chairperson with the ICAO Secretary General - Fan Liu and the director of Technical Cooperation Bureau Ivan Galan were held within the framework of the Assembly work. 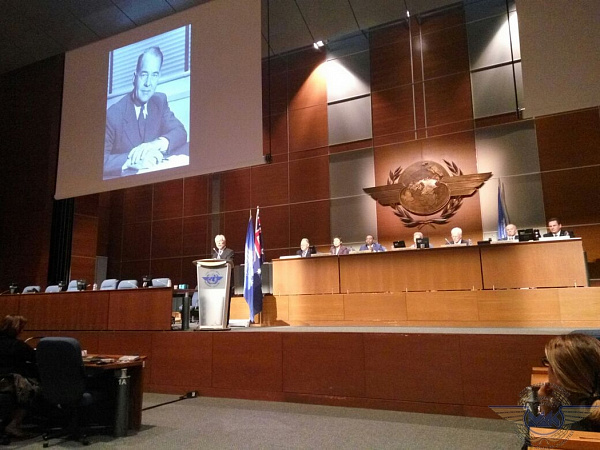 The IAC Chairperson participated in the ICAO 41st Edward Warner awards ceremony. The prominent Australian inventor David Warner developed and realized flight recorder prototype model (FDR and CVR) in 1950s and who devoted all his life to flight safety and passed away at 85 years in 2010 became the laureate of 41st award. This award was received by two sons and daughter of David Warner. Edward Warner prize consists of personalized gold medal and certificate with the award statement. 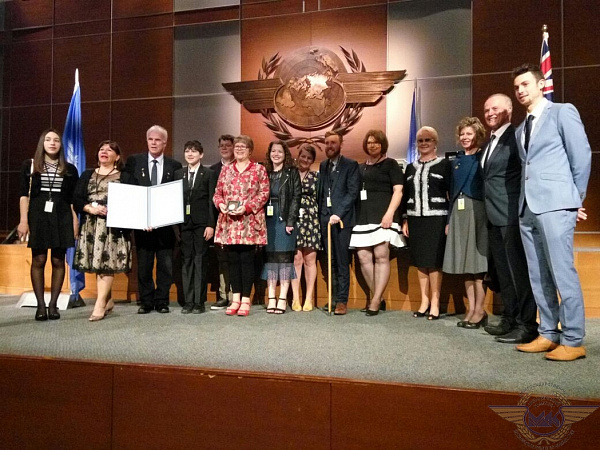 It has been recognized worldwide as the only highest prize which can be honoured to receive by international civil aviation community and its importance is highlighted by the fact that it is awarded by ICAO on behalf of the member-states. None of the other international awards is widely acknowledged. In 1997 Tatiana Anodina was awarded with the Edward Warner Award as a world-known scientist and research worker for prominent contribution to the development of national, regional and air navigation facilities for civil aviation at international level. 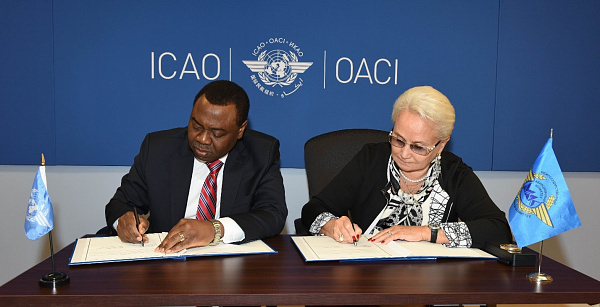 On 30 September the signing of the Agreement (Addendum 2001 between IAC and ICAO) was held in the ICAO headquarters. The important event was a result of effective cooperation of two organisations which over 20 years have worked in the field of civil aviation flight safety and marks new interaction in the field of the ICAO Standards and recommended practices implementation, international programs in the region of contracting states of the Agreement on Civil Aviation and Use of Airspace. Over the years the Agreement implementation allowed to carry out large number of projects in the field of flight safety, aviation security, air navigation, aviation specialists training, aviation medicine, etc. ICAO-IAC RER/01/901 project implementation became the example of similar projects implementation and was highly appreciated by the ICAO. 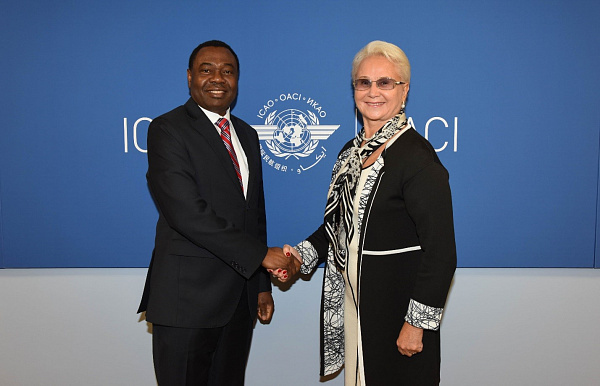 IAC Chairperson Dr. Tatiana Anodina informed the ICAO President and Secretary General on the results of 25-years activity of Interstate Council on aviation and Use of Airspace and its executive body - Interstate Aviation Committee. Parties recognized the importance and need of further deepening of international and regional cooperation aimed at support for the ICAO initiative "No country left behind". IAC continues close cooperation with ICAO within the framework of European and North-Atlantic Office activity and its programs as well. The ICAO President emphasized the importance of regional cooperation development, the IAC efficiency, its solid reputation and experience in the field of flight safety and aviation security. This Agreement will allow the parties to make more effective use of regional cooperation potential of the Interstate Aviation Committee established 25 years ago in 1991 for the benefit of flight safety and efficiency in the region of new states of post-soviet space. Signing of the Agreement on indefinite extension of the ICAO-IAC RER/01/901 (COSCAP-CIS) project "Development of flight safety and continued airworthiness" by the IAC Chairperson T. Anodina and the ICAO Director of Technical Cooperation Bureau Ivan Galan was held during the IAC delegation activities at 39th ICAO Assembly in the ICAO headquarters. Prolongation and expansion of this important Project activities on provision of the ICAO technical assistance to state-members of the International Agreement is a further acknowledgement of effective implementation of this direction of the IAC activity were the result of successful, effective work that have been carried out for 15 years. IACO-IAC RER/01/901 project carried out from 2001 and which is so far one of the longest and the most successful COACAP projects in the ICAO technical cooperation Program, with the assistance of partners from ICAO, Airbus Company, Boeing, FAA USA, etc. became the example of successful traditional methods of aviation specialists training in the form of workshops, conferences, symposiums held by IAC and innovative methods, so called "evidence-based training" as well with the involvement of aviation simulator complexes, aviation equipment, workshops on an air field and on the basis of operated aircraft. Developed approaches and initiatives in the field of aviation specialists training within the framework of the Project were highly appreciated by aviation authorities of Member-States of the Interstate Agreement as more effective and cost-effective due to the possibility of involvement of more aviation specialists in training activities. It has been reflected in the resolution of the Interstate Council on Aviation and Use of Airspace of 2015. The project is actively engaged in implementation of the ICAO campaign "No country left behind". Over 100 different activities with participation of about 9000 aviation specialists of the region countries have been carried out during 15 years. The intensive development of training programs of aviation specialists, state inspectors in different directions of aviation industry activity including the field of flight safety, airworthiness, aviation security and others based on the ICAO Standards and Recommended practices and regulations (Aviation Regulations) of the Interstate Aviation Committee approved by the Interstate Council on Aviation and Use of Airspace is initiated within the framework of signed with the ICAO Project.